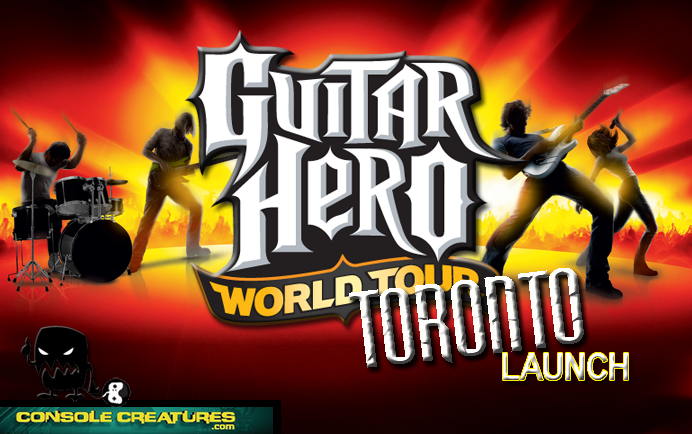 GUITAR HERO:WORLD TOUR ….Helllooooo Toronto!!! Toronto, ON – Oct/28/2008, Console Creatures was invited to the Cherry Beach Sound Recording Studio to celebrate the launch of the recently released Guitar Hero: World Tour. With the addition of microphone and a drum kit (ala Rock Band), we had the opportunity to try out Activision’s latest entry in a professional studio environment. Hosted by High Road Communications, we also had the chance to test out the Band vs. Band option against the High Road Montreal team. As expected those in attendance were enthusiastic about the new iteration of Guitar Hero and the prospect of playing in legitimate recording studio (3 in total). 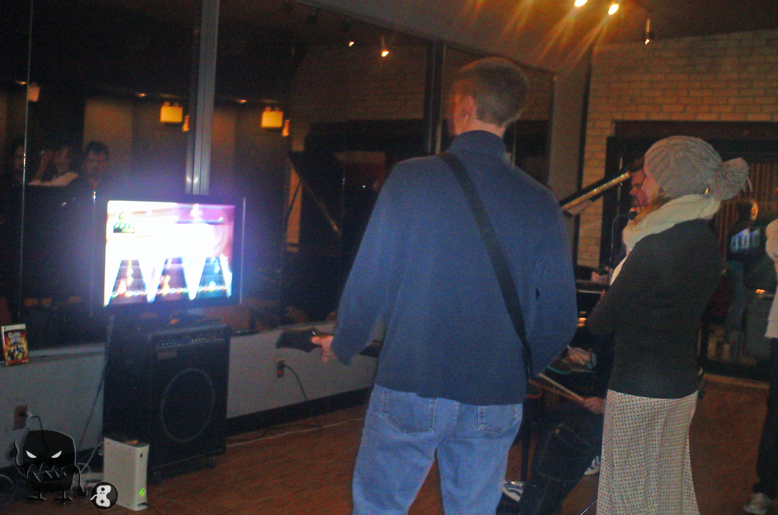 For the most part, the new Guitar Hero played well. Those accustomed to Rock Band play mechanics with the multiple instruments shouldn’t miss a beat; however the drum pad setup does take some adjusting to as it is positioned differently than the Rock Band version. A couple times I had to look down to see which pad to actually hit. When it comes down to it Guitar Hero: World Tour holds it own up against the competition, and does the Guitar Hero brand justice. Fans of the genre will be hard pressed to make a decision as to which game to choose (if not both) this holiday season. Activision hopes that bringing the Guitar Hero name to the full band experience, their current and future list of exclusive songs, and their unique song creation mode will sway you their way. SEAN C.
~ by consolecreatures on October 30, 2008.